If you're reading this anywhere north of the country's midsection, there's a good chance you've put the golf clubs away for the year. Too cold, right? Perhaps, save for the balmy day here and there. However, if you live in the Chicago area, in the New Year, you'll have a new opportunity to play full-fledged golf at Sydney Marovitz Golf Course. 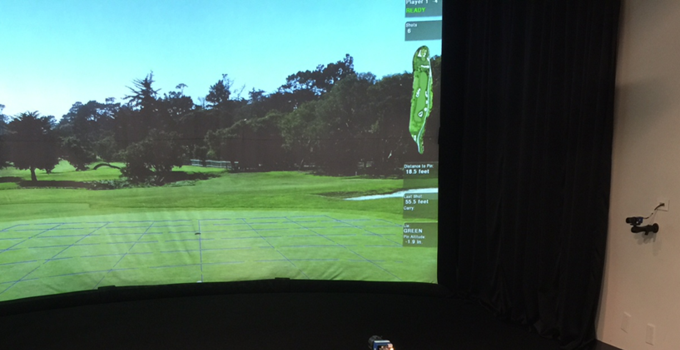 The Marovitz and Chicago Park District Golf team are installing a simulator that will allow golfers to rent time and play a true round of golf with the comforts of indoor living, including...heat! In addition, the indoor facility will sport a bar and beverage area to keep hydrated during a round you can play with yourself or up to four players. The simulator opens Jan. 9, 2015. Simulator rates are charged by the hour, with an introductory rate of $50 per hour for the first week before going to a normal rate of $80. Tee times can only be made by calling the team at Sydney Marovitz at 312-742-7930.